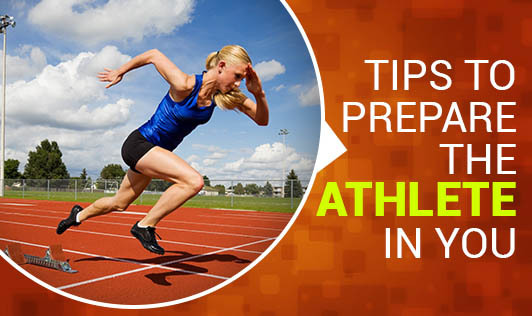 Set an Olympic size fitness goal as this inspires you to keep your fitness regimen going. Do you want to make it big but not sure which sport to choose? Rewind the sports or activities that you loved to do when you were a kid. It could be as interesting as hitting the pool or riding your all time favorite bicycle or any activity that brings out the child in you. Set small goals that will bring you to achieve the bigger Olympic size fitness goal! Keep boredom at bay by including a variety of exercises like cardio or weight training or interval training as this also helps you to burn calories faster. Doing the same activity everyday burns fewer calories as your body adapts to the exercises. Skeptical about exercising because of health issues? Get a go ahead from your Doctor and start exercising. Have a chat with your Dietitian and get a diet plan suiting your requirements. A good hydration level is a must when you workout. Go grab your bottle of water now. The right clothing gives you the comfort and the right shoe reduces the rate of injuries. Be it running or weight lifting, it is easy to get hurt if the form that you are practicing is not right. Get the right form from an expert. Remember tiny drops make a mighty ocean. Achieving small fitness goals escalates you to the ultimate goal. So start it today!